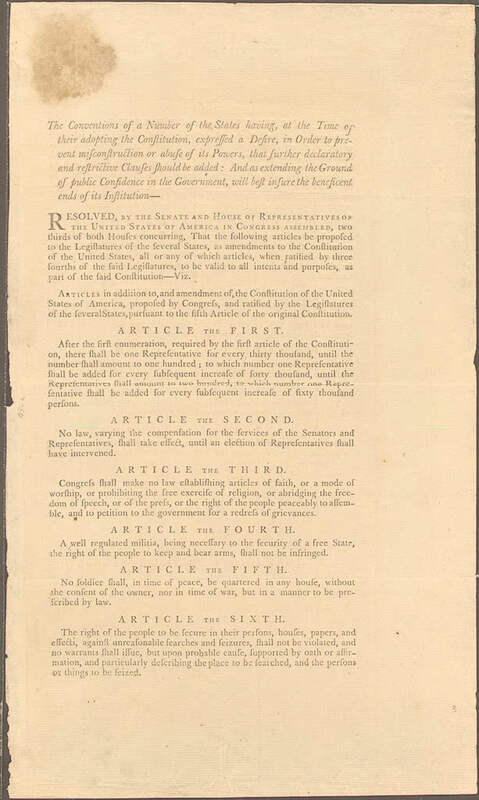 JPFO is pleased to offer these originals and translations of the "Bill of Rights". However, for a detailed explanation in an easy to read cartoon format, you NEED to get a copy of Gran'pa Jack's "Common Sense", by JPFO. Our Bill of Rights "Menorah"
NOTE: all translations (except the one in Latin) are Copyright © JPFO. They may be circulated and repoduced (but not altered). Include this notice, along with the JPFO mailing address and phone number and the website URL. Have you pledged to honor the Bill of Rights? Make your Bill of Rights Day (December 15th) special: Share the Bill of Rights with your neighbors! Original Transcript of "The Bill of Rights"
La Lista de los Derechos del Ciudadano -- the Bill of Rights, in Spanish! Verfassungszus�tze -- the Bill of Rights, in German! La Declaration des Droits -- the Bill of Rights, in French! Latin Translation, by David Kovacs, Professor of Latin at the University of Virginia (hosted at George Mason University - sorry, link seems to have expired). NOTE: the following translations are in Adobe Acrobat format (also called ".pdf"). To view these, you must have Adobe Acrobat Reader installed on your computer. If you don't have a copy of Adobe Acrobat Reader, you can download a free copy from Adobe. If you don't have a copy of Adobe Acrobat Reader, you can download a free copy from Adobe. For more information on the history of the Bill of Rights, jump to billofrights.com.